Welcome to Phumula Country Manor. Offers absolute abundance with colonial charm close. 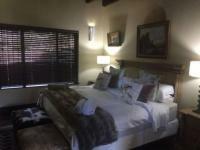 We offer accommodation in tranquil area of Colleen Glen, Port Elizabeth. We are a working horse farm situated away from the hustle and bustle of city life, but still close enough to everything important. Country Style retreat, peace full location in tranquil environment for leisure and business traveler, getting away from it all! Our guest become friends !! Spa: WE HAVE A TRAVELLING SPA , THAT COULD DO TREATMENTS FOR YOU ON SITE, IF YOU WOULD WISH TO. Golf: USE US AS A BASE TO PLAY THE AWESOME SURROUNDING GOLF COURSES. WEDGWOOD, HOMEWOOD, ST FRANCIS LINKS. Wedding Venues: INTIMATE WEDDINGS AND CATERING OPTIONS FOR 50 TO 80 GUESTS CAN BE HOSTED AT PHUMULA. Conference Venues: max to 15 guests conference facilities. 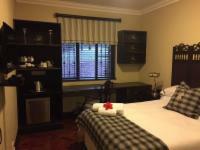 Phumula Country Manor is 22.8km from the centre of Port Elizabeth , the nearest airport 27.3km (Port Elizabeth Airport).